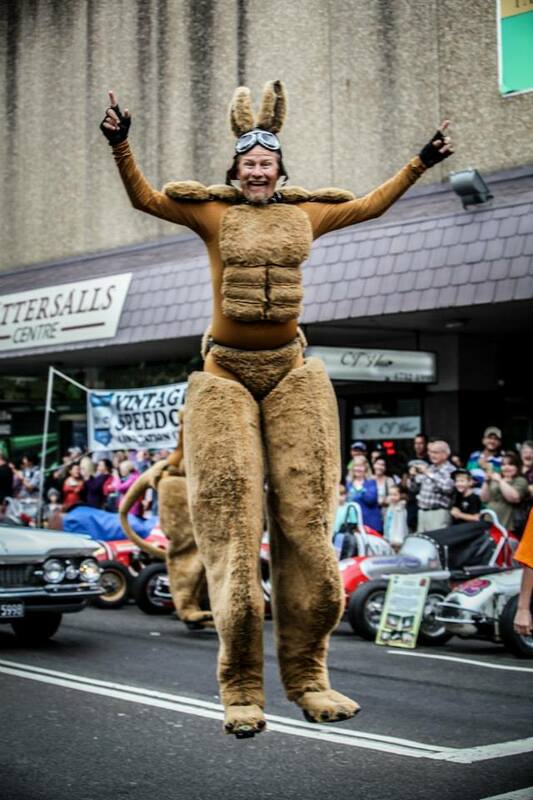 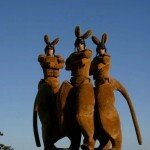 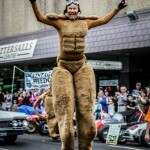 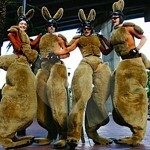 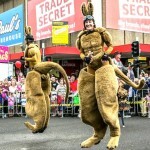 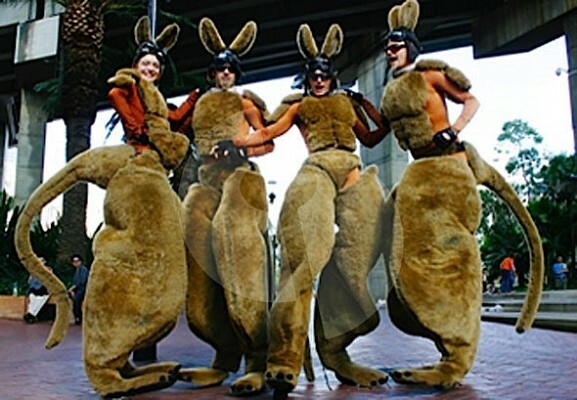 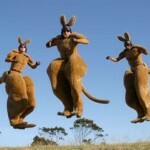 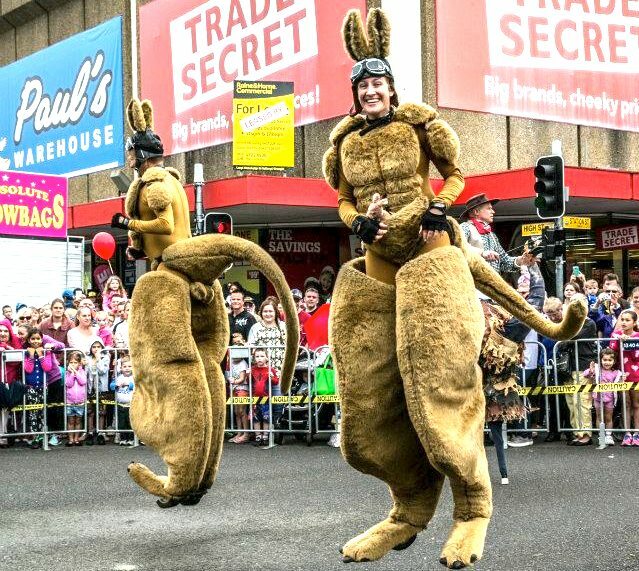 Giant kangaroos on bouncing stilts? 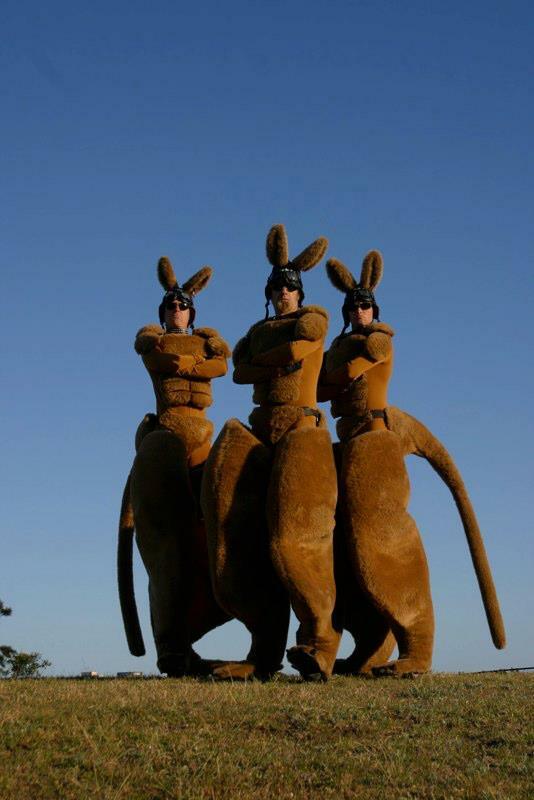 That’s ROO’D. 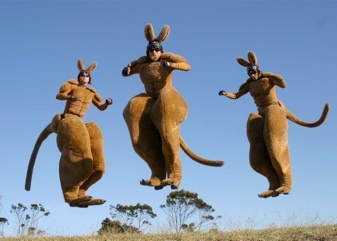 Jumping a metre off the ground and 2 metres in a bound, they’re a phenomenal sight with their cheeky blend of outback macho and inner city punk savvy — always Roo’d but never offensive. 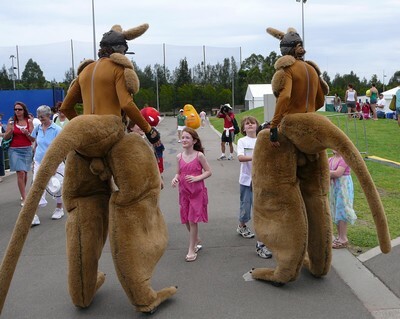 These Sydney based roving stilt kangaroos are a favourite at festivals around the world: so far Roo’d has appeared in Australia, New Zealand, Malaysia, Singapore, Japan, China, Canada, Dubai, Bahrain, Abu Dhabi, South Africa, Italy, Croatia, Austria, Germany, Holland, Belgium, France, Spain, England, Scotland, Wales and Ireland, making it one of Australia’s most successful independent creative exports.